Get bopping around and join in the fun with this funny hen party accessory! With something so cheeky looking everybody is going to know exactly who you are and what you need on your special night, free drinks and lots of attention.Right? These springy bouncy boppers will cause lots of giggles and wiggles! With the veil attached everybody will know that this really is your last night of freedom and your going to make the most of it! The veil is attached and even has gem stones and stars throughout to give it an exciting, pretty look from behind. 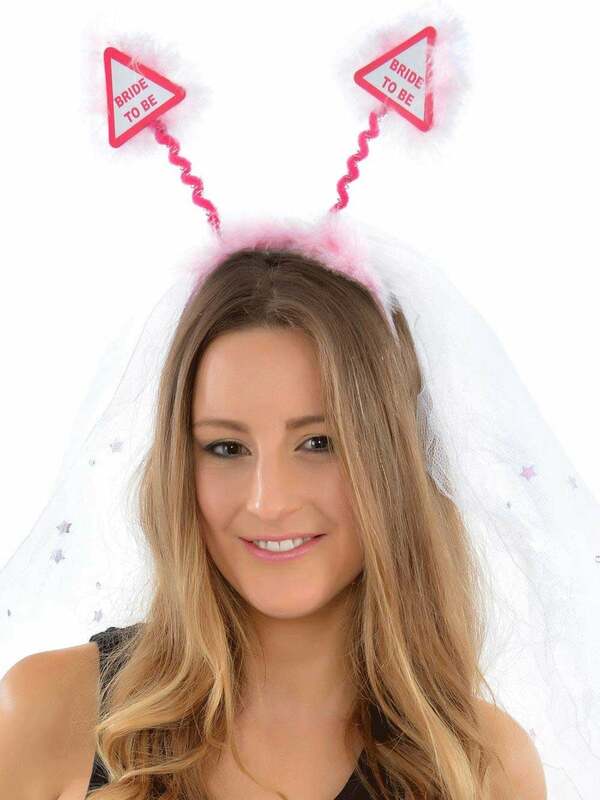 They also have a pink bride to be message- dont worry you wont be getting lost in the crowd in these babies! Showing our 2 Pink Bride To Be Boppers With Attached Veil reviews with an average rating of Excellent. Would you like to write a review? Fantastic product, fantastic value for money!